Their goal - to destroy you, from within. Terrorists kidnap and blackmail a young French scientist in Western Africa. The outbreak of an ancient disease kills everyone in a village located in a remote jungle of Guatemala. US government operatives uncover a secret biological laboratory in Trinidad. An isolated death at the hands of this killer virus is discovered in Greece. Is there a connection, or are these simply a string of coincidences? Dr. Mackenzie Hagan, a highly-educated, well-respected epidemiologist at the CDC-Atlanta, is called to Guatemala. As the daughter of a retired commanding general of the United States Army Medical Research Institute of Infectious Diseases, Mac often says infectious disease is in her blood. While no infectious disease outbreak is routine, this particular hot zone in Guatemala has its own set of complications - including a mysterious operative sent there by the Department of Defense. Events unfold and Mac is sent around the world investigating new cases involving this same, rare disease. 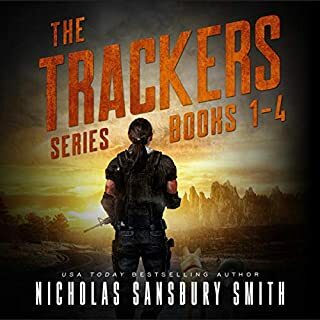 Nathan Hunter, a covert operative within an off-the-books project for the DOD, tracks down terrorists before they strike. As Hunter unravels a villainous plot with tentacles spanning the globe, his investigative path crosses with Mac's. Was it fate, or something else? Mac and Hunter work together to analyze the disease and to identify the source. But they soon learn that the biggest challenge they'll face is right at home. 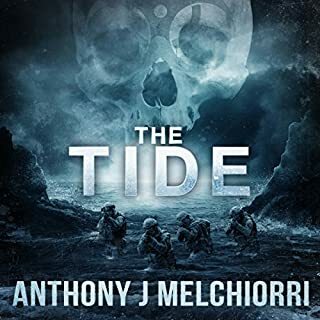 A terrific novel on the very real possibility of bio terrorism. 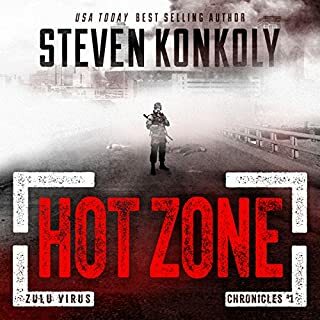 The book is very well written and somewhat reminds me of "The Hot Zone" regarding the Ebola and communicable diseases. 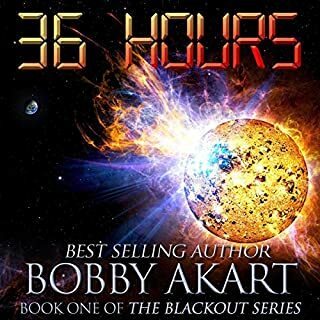 Bobby Akart does a terrific job with the book. 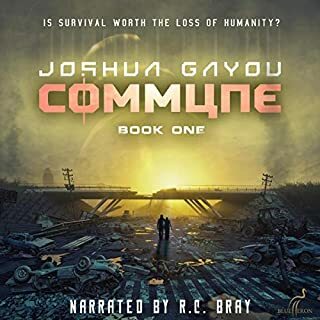 The dual narrators took me a little while to get used to... but soon it flowed exceptionally well and I believe it added a new layer of depth to the book, and allowed for excellent character development. I'm going to add a disclaimer to this review. I LOVE Medical Thrillers/Bio-Thrillers. I've taken a liking to them ever since reading Michael Crichton as a kid, and then Richard Preston as a teenager. My fiction and non-fiction reading trajectory was paved with Medical Thrillers. Because of this, I was genuinely worried that one of my favorite authors was going to let me down by writing a book about a potential outbreak and not do his research. I have never been happier to be wrong in my life. Akart was able to write a book that is both utterly terrifying and incredibly enjoyable at the same time. I didn't even think that was a possibility. 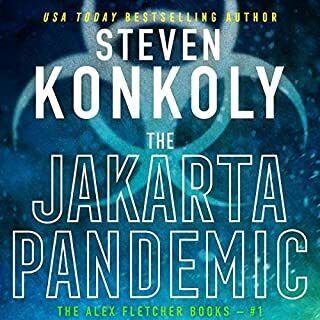 With my disclaimer at the beginning, if you're not a bio-thriller or medical thriller fan (Robin Cook, Richard Preston, Michael Crichton, etc), you could still enjoy this book. 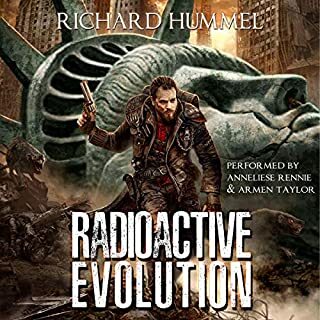 This book, in particular, didn't go too "sciencey" making it unapproachable for the average reader (or even just an Akart fan from his other two series). It's a thriller where one of the main worries is a contagious and incredibly deadly disease. So it's action/thriller first and medical/bio second. But, knowing that Akart was writing this series had me waiting with bated breath until it was released on audio. Then, I found out that he was going to use a dual narration for it. My excitement level (which was already high) skyrocketed. Usually, when that happens, the book is just okay, or average since I want it to be so good, I'm usually harder on it. But, as I said above -- I shouldn't have doubted Akart, he absolutely knocked this book out of the park. 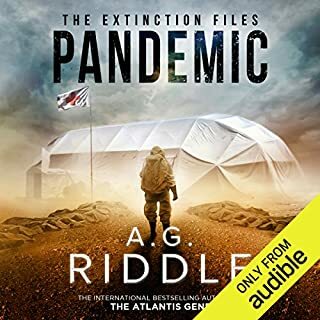 Pandemic: Beginnings is a brilliant book that combines basically every aspect of a good thriller with great main characters and throws it into a washing machine with terrorism, bio-weapons, and diseases. Turns it on "heavy soiled" and lets it go. What comes out is a perfect mixture of all the best aspects of what I mentioned above and the ability to scare the heck out of a reader. Seriously, shake someone's hand after reading this... I dare you. "Mac" the doctor in this was a great main character who is both powerful and smart. A great combination for a female protagonist. She was also really funny and a few time when I wasn't scared for my life, Mac had me cracking up with the way that she thought of or approached things. 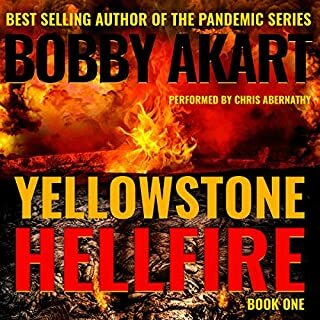 Akart, who didn't set out to be a Medical Thriller author has written a book that will stick with me for a long time. Easily comparable to Crichton, Cook, and Preston as one of my top bio-thriller books I've ever read. And the best part is that he's just getting started. I hope that what follows in this series will follow some of the same blueprints that he's already laid out in Beginnings. The dual narration was interesting. I've heard this done well and terribly. This was right in the middle. In the beginning, I was worried because the female narration parts are only for talking parts. Mac's internal thoughts were still narrated by Farrell. At first, this really bugged me. 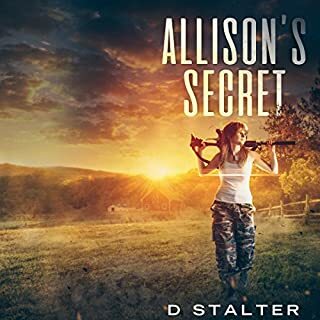 It just didn't seem to make any sense why it would work that way, but as I continued in the book and listening to it intently, I noticed that it didn't bother me anymore. It made a little more sense. Farrell is the main narrator who will give most of the talking parts, internal monologues, and "stage direction" (scene setting and stuff like this) while Adams (who has an AWESOME voice) will voice any female directly spoken parts. It worked better than I first thought it would and honestly it made this book fly by. Book and story great, but the choice for using two narrators was the worst idea. The male narrator is great, I've listened to a lot of books he's done. The female who reads only the female dialog out loud is awful. She uses the same bland voice and emotion for every character regardless of situation. Someone drinking tea? Someone dying? Someone terrified? Someone happy? SAME VOICE. The same terrible, non-differentiated voice. And her voice is so different from the male narrator and higher in pitch it makes the distinction worse. I feel bad giving the performance a one star given the great job the primary narrator did and how well he's done in the past. None of this bad review is his fault. If you like your nightmares believable, check out this amazing series! You can definitely tell this author has done a ton of research, which is why it's so terrifying! There are plenty of scientific references without being at ALL boring. Excellent storyline and well rounded, relatable characters. This is one of the best series I've found! A French scientist working in West Africa is kidnapped and made to work for his captors. Six months later people start dying in a small village in Guatemala, and soon after also in Greece. Dr.Mackenzie Hagan is in charge of this investigation, and she will soon learn that all these facts are related. Mac will try to find a way to fight what appears to be biological terrorism. I always find medical thrillers amazing because what they describe feels so real. 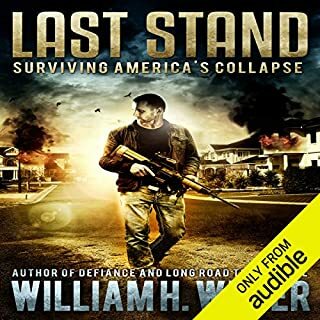 When I was listening to this audiobook I was imagining how plausible this was, and it was scary. Akart does not go very deep into the science behind but utilizes Mac to give clear explanations about how the plague works and the possible scenarios. Mac is the main character in this story. She is good at what she does, but she is also funny and has a human side always present in the story. 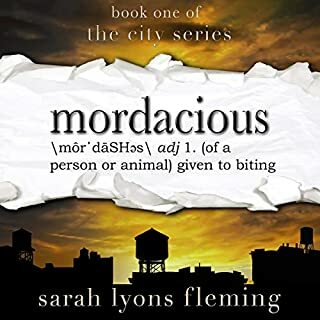 There are several parts in the book, as the plague appears in several parts of the globe, but they are nicely tied together thanks to this character. There are a couple of important characters after Mac, and while they are less developed, I also found them realistic. The dialogs are well constructed and they feel natural and fluid. I wanted to mention that this book, although it is not a short one, is just a first approach to the situation. We are left with a cliffhanger, which had me wanting to know more and how humanity was going to be saved from this. There is some unjustified romance in this book, where the guy is nice, handsome and rich. This was uncalled for, in my opinion. And the fact that Mac at some point affirms that she believes in fate. For someone who does not, this sounds kind of hollow. The type of narration in this book is called duet narration, in which the male narrator interprets male characters and the female narrator does female ones. 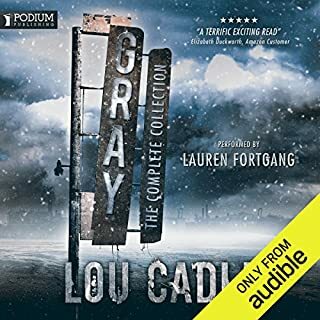 While I am not a fan of dual narration (narrators taking turns in reading complete chapters), duet narration is something I can get used to, since the listener needs to pay less attention to which character is talking. 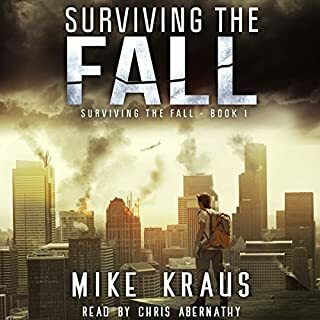 The volume and transitions between both narrators were well done, and I did not notice any kind of the initial discomfort that I have had in other books. John David Farrell played well different voices, but his British accent did not convince me. Kris Adams has very good narration skills, but I felt that the female characters sounded quite similar (I had troubles discerning between Mac and Jeannie). There is an incorrect pronunciation for Cerro de Muerte, using the Italian pronunciation instead of the Spanish. This is something that often happens in audiobooks. I just wish that narrators took the time to check the pronunciation of words in other languages. Another minor issue I found was two repeated sentences towards the end of the book, by Farrell (6:55:41 and 6:56:03). 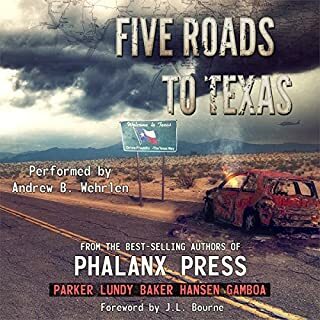 I really enjoyed this audiobook, which I found scary at times. I would totally recommend it not only to medical thriller fans, but also anyone who enjoys a good thriller. Great Start! I'm so excited! I must confess (as others have) I am one of those that can't get enough of Pandemic and Bio Terror stories. 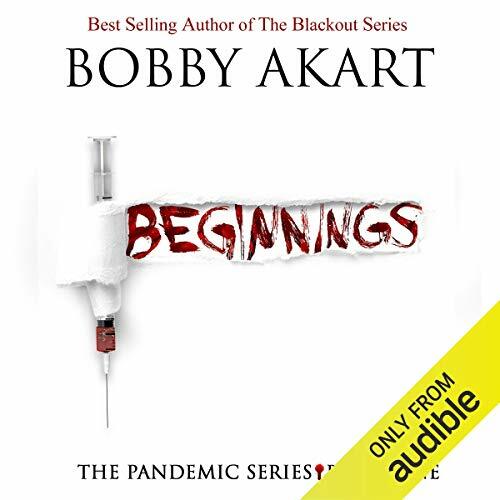 Beginnings is well written, well researched and a sit on the edge of your seat story about a terror generated virus with the potential for disaster. 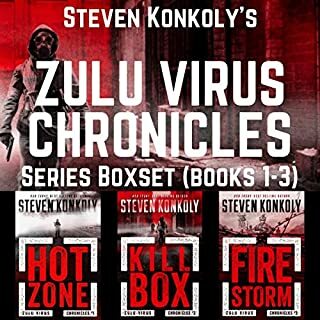 You are in on the inner workings of the CDC and Homeland as they investigate and discover the early signs of a possible real worldwide pandemic. Listening to the story I kept thinking this could happen, this could really happen. The characters are likable and believable. Something different was thrown into the mix. I was thinking no worries about the narration because John David Farrell is one of may favorites. However there was a second narrator, a female, Kris Adams. I was not familiar with her and it did take me awhile, in fact into the second book but eventually I liked it and it made sense. There are a lot of facts and information thrown into the book that there may be some that think it slow at times. This only happens in the first book and I believe it is necessary for the setup of the rest of the books. Don't let that turn you off. It's a good book and book 2 is even better. So good I didn't want to stop. I wanted to go onto book 3. 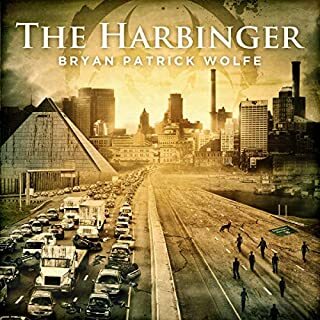 Great genre, check, great author, check, and a great narrator, check. With all that you can't go wrong. I recommend Beginnings. 😷😷😷You never seace to amaze and entertain. I've come to expect good science, research and believable stories. Beginnings is a flawless change of genre. 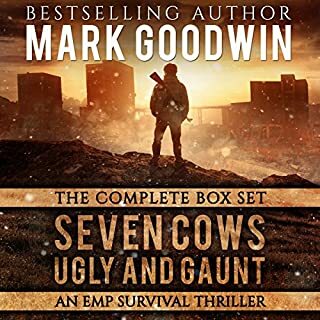 😀 Loving the dual narration and edge of my seat story. Another great Akart apocalypse story! Loved this story! Very much ripped from the headlines! Liked the adult characters this time! Quite apart from being a really well-balanced book, and very relevant today, it appears to be very well researched. I kept checking on Google to find out if certain bits of information were true. Yes, they were. I normally would be very disappointed to find that the book is not self-standing, however, I bought it as the first in a trilogy and immediately bought the followup. Can't wait to continue. I feel it deserves the 5-star rating all round. Loved the narrators and the performance. Great book, great story, great performance. Can’t wait for Book number 2. I would wholeheartedly recommend to anyone who enjoy pandemic literature.